As the world’s population continues to become more diverse, clinicians will have to broaden their therapeutic approaches to include more than a single cultural context (Zayfert, 2008). This notion is consistent with what scholars have been saying for years, that utilizing a multicultural framework is particularly relevant and necessary (Sue, 2001), especially when it comes to culturally competent work with survivors of trauma (Brown, 2009). Trauma reactions can be broadly defined as normative responses to abnormal events. Notably, what is considered normal is subjective and largely influenced by cultural factors that affect the prevalence, impact, and healing process related to trauma, and make using a multicultural framework for working with trauma survivors imperative. Utilizing a multicultural framework requires an understanding of how culture is relevant to the experience and treatment of trauma. Cultural influences have a bidirectional relationship with trauma in that culture and identity are tied to the experience of and recovery from trauma (Tummala-Narra, 2007). For example, there are cultural and social factors that directly influence exposure to traumatic events such as racial/ethnic disparities (Ford, 2008), sexual orientation (Roberts, Austin, Corliss, Vandermorris, & Koenen, 2010), immigration status, and geographical areas (U.S. Department of Health and Human Services, 2001). There are also cultural and social factors that influence the development of trauma symptoms and treatment outcomes (Marsella, 2010; Wilson, 2007), specifically in terms of cultural ways of coping (Tummala-Narra, 2007). For these reasons, clinicians need to understand how cultural factors, including trauma survivors’ and clinicians’ intersecting identities, influence the trauma recovery process (Brown, 2008; Zayfert, 2008). What follows is a summary of key recommendations from Sue & Sue’s (2016) seminal text Counseling the Culturally Diverse: Theory and Practice and Brown’s (2008) classic text Cultural Competence in Trauma Therapy: Beyond the Flashback. We are socially conditioned through living in the United States to have certain beliefs and biases (e.g., racism, sexism, classism, ageism, ableism, heterosexism, etc.) that may influence our perceptions and understandings of clients and the therapeutic relationship. Clinicians should acknowledge and confront their own biases/assumptions about diverse clients and ensure that care is not negatively influenced. Increase one’s knowledge and understanding of clients’ worldviews and experiential realities, and of how this interacts with the experience of and response to trauma and the recovery process. Many socially marginalized groups have common experiences with prejudice, discrimination, and stigma that may compound the trauma recovery process. Client’s expectations and preferences for treatments should be considered during treatment planning. Utilize culturally sensitive assessment and intervention strategies and techniques. Empirically-supported assessment and treatment strategies for trauma/PTSD may need to be tailored to meet the specific characteristics and needs of diverse populations (Schynder et al., 2016; Zayfert, 2008). Clinicians should be mindful of potential dynamics around cultural similarities or differences. For example, studies suggest that clinicians are prone to engaging in unintentional microaggressions against culturally different clients, which may negatively influence the therapeutic alliance and treatment outcomes (Constantine, 2007; Shelton & Delgado-Romero, 2011; Sue & Sue, 216). Clinicians should thus remain attuned to any subtle indications that there may have been a rupture in the therapeutic alliance and be willing to take the initiative to explore the interpersonal process with their client. Be open and receptive to clients’ complaints about microaggressions and respond nondefensively. Validate the client’s experience, clarify any misunderstandings, and accept responsibility for your role in the therapeutic rupture (Safran, Muran, & Eubanks-Carter, 2011). As Sue & Sue (2016) note “…it’s how the therapist recovers, not how he or she “covers up,” that makes for successful multicultural counseling” (pg. 207). Various cultures may have alternative/traditional healings practices and thus clinicians may need to coordinate with Native healers in order to ensure continuity and integration of care. Identify sources of culturally-based coping strategies or resources that bolster a sense of well-being. In an effort to align with the presidential theme of Dr. Joan Cook (immediate past president), Drs. 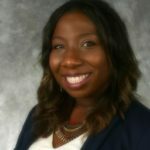 Ellis and Simiola spearheaded a project using funds from the Committee on Division/APA Relations to create relevant resources on health disparities in trauma by collaborating with other APA Divisions. These resources include printable Fact Sheets, suggested reading lists, and YouTube videos that provide empirically informed information about the prevalence, impact, and treatment of trauma among underserved health priority populations. The nine Fact Sheets examine Trauma and PTSD in Veterans, Older Adults, Male Survivors of Sexual Abuse, LGBTQ Individuals, Ethnic Minorities, Economically Disadvantaged Populations, Individuals with Intellectual and Developmental Disabilities, Children and Adolescents, and Traumatically Injured Populations (http://www.apatraumadivision.org/633/resources-on-underserved-populations.html). Why did you see this as an important initiative to bring to your fellow clinicians? It is widely known that there are large disparities in the quality of health and U.S. health care. These discrepancies exist due to myriad factors including access to health care, increased risk of disease, occupational hazards, or underlying genetic, ethnic or familial factors. They can exacerbate the effects of trauma; thus, creation and dissemination of empirically-informed psychological information on trauma survivors from underserved health priority populations were seen as particularly important by our team. The factsheets and videos were specifically designed to reach clinicians, survivors, and friends and family members of those who have been impacted by trauma. While other professional organizations provide information on traumatic stress for providers and the public, that information is sometimes difficult to locate on the Internet or, when it has been identified, is difficult to access (e.g., requiring expensive membership only access). The goal of this project was to provide comprehensive, unrestricted, and free access to educational materials for clinicians, consumers, and the public. Why is having a multicultural focus/framework imperative for trauma work? Many reasons. Trauma happens to a person with intersectional identities that are sometimes linked to historical trauma. The current trauma may land in a particular identity. Recovery strategies must be reflective of what is culturally normative for a client. Therapists need to have awareness of their own identities, privilege (or absence of), and non-conscious biases in order to work effectively with all clients, not only trauma survivors. Having a multicultural focus when doing any type of work is important. It can be especially important during times of trauma as culture can filter into the types of traumas experienced (e.g., trauma related to immigration), cultural interpretations of the trauma, and unique cultural presentations. Having a multicultural focus means being deliberate in one’s awareness and openness of all aspects of cultural identity. For this reason, I rely on Hays’ (1996) ADDRESSING model, which considers age, developmental and acquired disabilities, religion, ethnicity, socioeconomic status, sexual orientation, indigenous group membership, nationality, and gender as factors relevant to an individual’s unique experience of cultural identity. In working with trauma and LGBTQ individuals, it’s important to consider how these factors intersect with one another and may increase risk and vulnerability to exposure to trauma and to experiencing deleterious effects of trauma, and may continue to perpetuate traumatic experiences and sequelae. How does this importance manifest in your work with clients? In working with LGBTQ individuals, the presenting problem can range from something related to being a member of the LGBTQ community (e.g., victim of a hate crime) or non-related (e.g., childhood sexual abuse survivor, complex bereavement, or survivor of a natural disaster). But beyond that there can be an entire micro and macro system of trauma, oppression, and stigmatization that has contributed to their lived trauma experience. As a therapist, this means addressing the trauma(s) that brought them to session, and the traumas that they experience on a daily basis or have faced throughout their lifetime. These are the traumas that influence their legal rights with marriage, divorce, hospitalization, and adoption; the traumas that exist in everyday microaggressions; the traumas that result from the aftereffects of the Orlando Pulse shooting, the ban on transgender individuals serving in the military, or the ban on transgender individuals using a particular restroom. Researchers MUST proactively do more to look into the rate of male victimization, and the factors that play a role in increasing risks. It’s also important to see that maleness is only one facet of a complex set of identity factors that often create pressures and fears within males. I emphasize the importance of not allowing typical assumptions about masculinity to filter one’s assumptions about a person. A trauma-informed approach to any work connected to victimization response demands that we approach everyone we meet with compassion and curiosity first, not a predetermined bias towards pathologizing and diagnosing. It is important to directly address economic issues in treatment. It is more difficult to treat the impacts of trauma and severe stress when people lack basic economic stability (e.g., secure housing, access to affordable healthcare). Clinicians who work with traumatized populations should be familiar with social and community resources and support the people they treat in their efforts to access needed economic resources. What advice or suggestions would you give colleagues looking to integrate these resources into their practice? Reviewing the materials and keeping them handy are good first steps. While these Factsheets are not recipe books on how to treat clients, they do highlight important areas to be aware of, including providing many additional resources that can be sought to gather further information. When working with clients who experience trauma, it may be useful to go back to these sheets and consider uses for application in your treatment planning. The section within the Fact Sheet titled “Unique Clinical Considerations (for Providers)” is particularly relevant for practitioners. Get good consultation. Learn to mindfully and compassionately observe your own humanity and not use guilt or shame on yourself when you, as you inevitably will, act in a way that does not reflect cultural competence and cultural humility. Realize that culturally competent practice is a process, not something for which you can check a box as done. Get a firm rooting in the data on victimization. Understand that a profound percentage of the males you interact with (whether clinically or otherwise) are likely to be carrying within unspoken traumas that can negatively impact their health and wellbeing. Understanding that, ask how you can conduct your work in ways that make it more likely that a given male will feel encouraged and empowered to speak openly about their experiences with trauma. Find ways to make people feel safer. As clinicians increase their understanding of cultural influences on the prevalence and impact of trauma, they should also work to integrate those understandings into their practice so that recovery from trauma is grounded within appropriate frameworks, guided by ethical principles, and geared toward better clinical work. This is an intentional and continuous process that is never fully complete; but when attended to, can result in clinicians integrating cultural competence in all aspects of their work. In addition to developing cultural competence at the clinician level, cultural competence at the institutional or systems level is also critically important. research, practice, and organizational change for psychologists. American Psychologist, 58, 377 – 404. Brown, L. (2008). Cultural Competence in Trauma Therapy: Beyond the Flashback. Washington, DC: APA. complex traumatic stress disorders: Scientific foundation and therapeutic models. (166-182). New York: The Guilford Press. Constantine, M. G. (2007). Racial microaggressions against African American clients in cross-racial counseling relationships. Journal of Counseling Psychology, 54(1), 1-16. Hays, P. A. (1996). Addressing the complexities of culture and gender in counseling. Journal of Counseling & Development, 74, 332–338. Roberts, A. L., Austin, S. B., Corliss, H. L., Vandermorris, A. K., & Koenen, K. C. (2010). posttraumatic stress disorder. American journal of public health, 100(12), 2433-2441. Schnyder, U., Bryant, R. A., Ehlers, A., Foa, E. B., Hasan, A., Mwiti, G., … Yule, W. (2016). Culture-sensitive psychotraumatology. European Journal of Psychotraumatology, 7, 1-10. Shelton, K., & Delgado-Romero, E. A. (2011). Sexual orientation microaggressions: the experience of lesbian, gay, bisexual, and queer clients in psychotherapy. Journal of Counseling Psychology, 58(2), 210-221. Sue, D.W., & Sue, D. (2016). Counseling the Culturally Diverse: Theory and Practice. Hoboken, NJ: John Wiley & Sons, Inc.
Sue, S., Zane, N., Nagayama Hall, G. C., & Berger, L. K. (2009). The case for cultural competency in psychotherapeutic interventions. Annual Review of Psychology, 60, 525–548. multicultural perspective. Journal of Aggression, Maltreatment & Trauma, 14(1-2), 33-53.
ethnicity: A supplement to mental health: A report of the Surgeon General. Washington, DC: U.S. Government Printing Office. assessment of psychological trauma and PTSD. In J. P. Wilson & C.S. Tang (Eds. ), Cross-cultural assessment of psychological trauma and PTSD (pp. 3-30). New York: Springer. practice: An ideographic, transcultural approach. Clinical Psychology: Science and Practice, 15(1), 68-73. 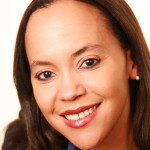 Shavonne J. Moore, PhD, is a licensed psychologist and health care provider in Boston, Massachusetts. She provides clinical services, supervision, and teaching at the Massachusetts Mental Health Center. Dr. Moore also develops trauma curriculum and trainings with the Trauma Center of the Justice Resource Institute (JRI). Her passion involves engagement through education and advocacy services geared toward ending sexual victimization. She has a strong commitment to working with marginalized and victimized populations and she engages in this work through multiple community avenues. 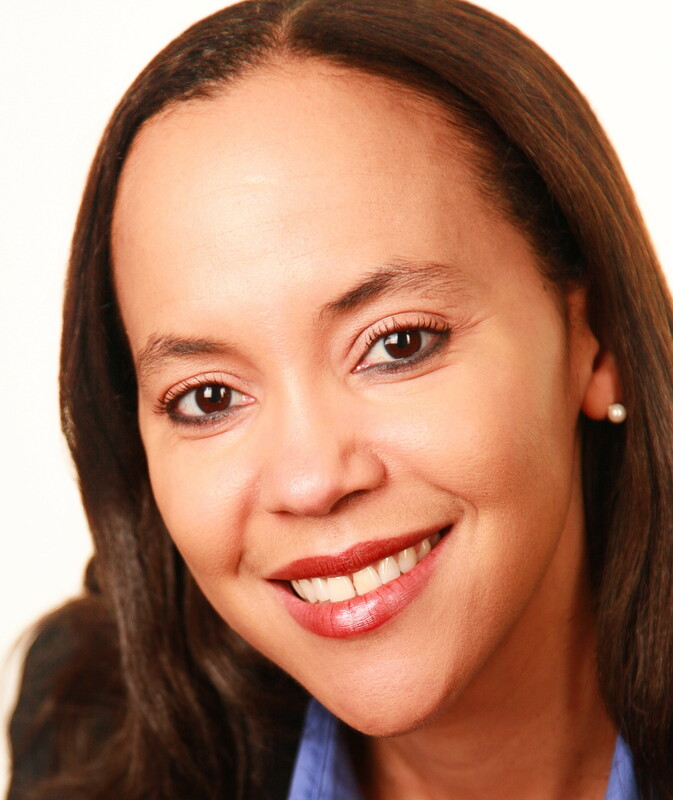 Lesia M. Ruglass, PhD, is a Licensed Clinical Psychologist and Assistant Professor in the Department of Psychology at the City College of New York, CUNY, where she also directs the OASAS certified Credentialed Alcoholism and Substance Abuse Counselor (CASAC) program. Dr. Ruglass also maintains a private practice in NYC. 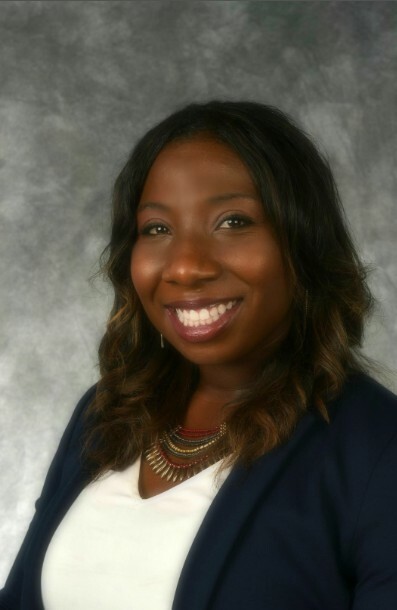 Her research and clinical interests center on integrated treatments for trauma, PTSD, and substance use disorders (SUD), with a focus on understanding and reducing racial/ethnic disparities in mental health and PTSD/SUD outcomes. She currently serves as Co-Chair of the Membership Committee.